Blue is such a common favorite color for a reason. Regardless of the shade, there's something about blue that radiates depth, tranquility, beauty, and strength. 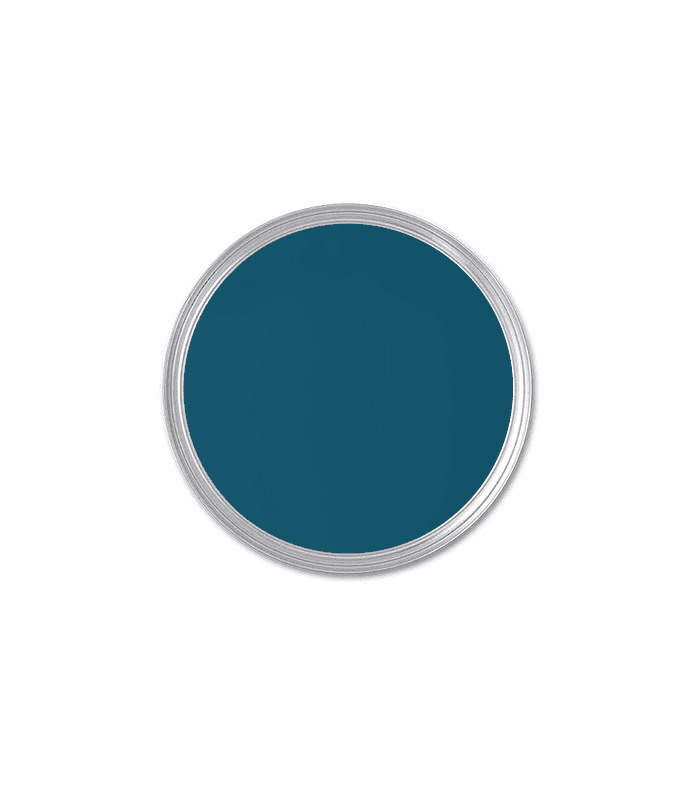 And though consistent, blue also offers endless range, making it the perfect anchor for a living room color scheme. Whether you're ready to make a statement by painting your walls blue, or you're simply looking for ways to bring in this hue through accent pieces, consider our guide to the prettiest blue livings rooms below your trusty blueprint (pardon the pun, we couldn't resist). Keep reading for design inspiration and ideas as well as shopping tips to steal the look for your own home. With seven gorgeous blue living rooms ahead, you'll fall in love with the color all over again, so keep your paint supplies at the ready for when inspiration strikes. If you know you love blue and want it to be the focal point of the room, don't be afraid to invest in larger items that feature the bold hue. For example, in the living room above, the armchairs instantly catch your eye. But they don't come off as overly ostentatious and bright thanks to the mustard sofa and blush ottoman. They balance out the moodier feel of the chairs while keeping things consistent with velvet upholstery on all the seating throughout the space. These vintage originals are a collector's dream come true. Cashmere plus pink plus cobalt? Sign us up. If you want your living room to be ultra plush and comfortable, low-to-the-ground soft seating will get the job done. This sofa is pretty iconic, and we love how the plaid carpet introduces a more casual atmosphere while the metallic lamp adds intrigue, and the crisp white details ensure a clean, fresh feel. We can't get enough of this simple, tasteful, and clutter-free living room setup. 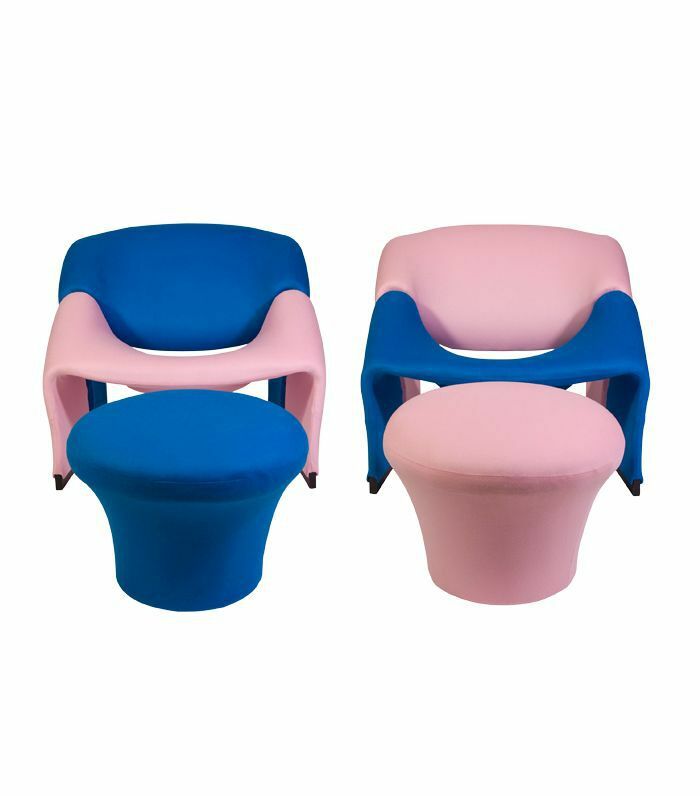 Sculptural and liveable, these chairs are the best of both worlds. Though there isn't much in this living room, it manages to pack in a ton of personality. This is all thanks to the attention to scale and proportion, plus a few statement pieces that also happen to be functional, like the oversize leather sofa, antique gilt mirror, and of course the striking blue Art Deco carpet. Each piece holds its own while also complementing the rest of the room perfectly. 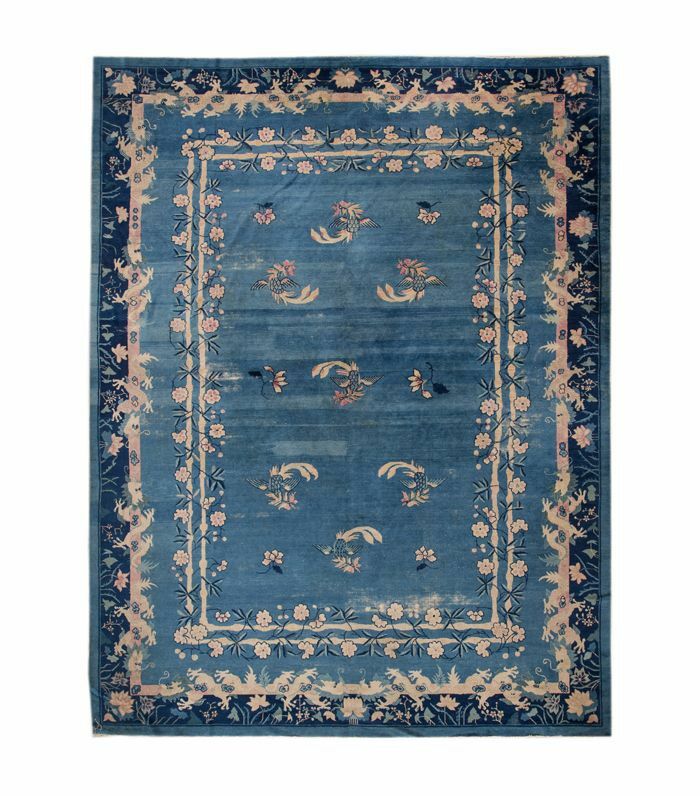 A vintage Art Deco carpet will always make a strong impression and will never go out of style. 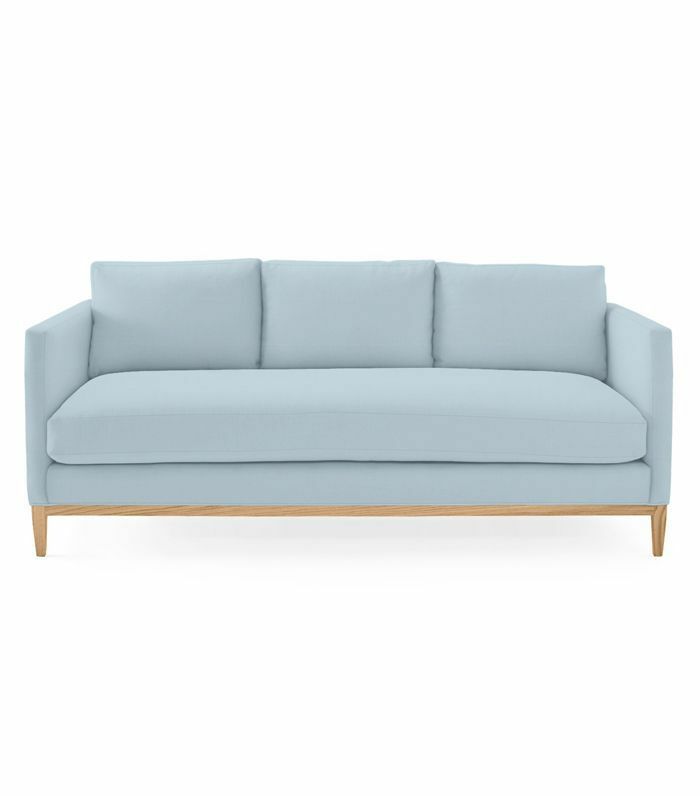 We're really enjoying the icy blue tone of this sofa. It keeps the entire room feeling fresh and crisp while the black finishes and metallic light fixtures add a touch of elegance for a nice balance between formal and liveable vibes. The natural, casual materials of the stool and other accents as well as the indoor plants and soft shape of the chairs contrast nicely with the slick accents, and icy blue of the sofa. For a similar look, think super-pale icy tones with neutral undertones. We also see this looking gorgeous with some chocolate brown pieces. Why choose one shade of blue when you can stylishly incorporate as many as you want? And why choose favorites between red and blue when they look so good together? This living room is proof that you can decorate with all of them in one place for dynamic, unique, and flawless interiors. The deep turquoise paint is a gorgeous display of personality while the graphic carpet and artwork and marble fireplace put a modern twist on the traditional feel. Then, all of the rich cherry wood pieces ground the space without drowning out the other lighter elements. And last but not least, the cobalt, red, leather, and wood armchair pick up on everything in the room for a cohesive finish. If you're leaning toward setting a more regal mood in the living room, paint the walls a rich blue jewel tone. There's something formal yet earthy about it. If you want to be able to swap different statement colors in and out throughout the years, introduce some blue through your accent pieces, like throw pillows, blankets, curtains, and other textiles. In the living room above, for example, we could see a variety of other hues working well, too, so as soon as you get tired of blue, you can swap it out for a warmer tone. Just a touch of a light blue color will buoy you (and the rest of the room) up. 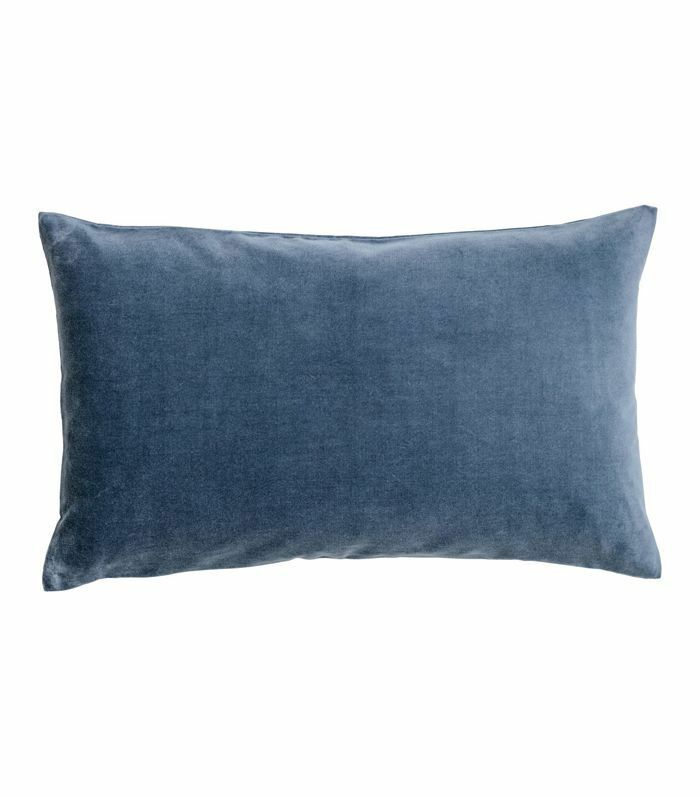 Sometimes a simple blue throw pillow is all it takes to transform a room. 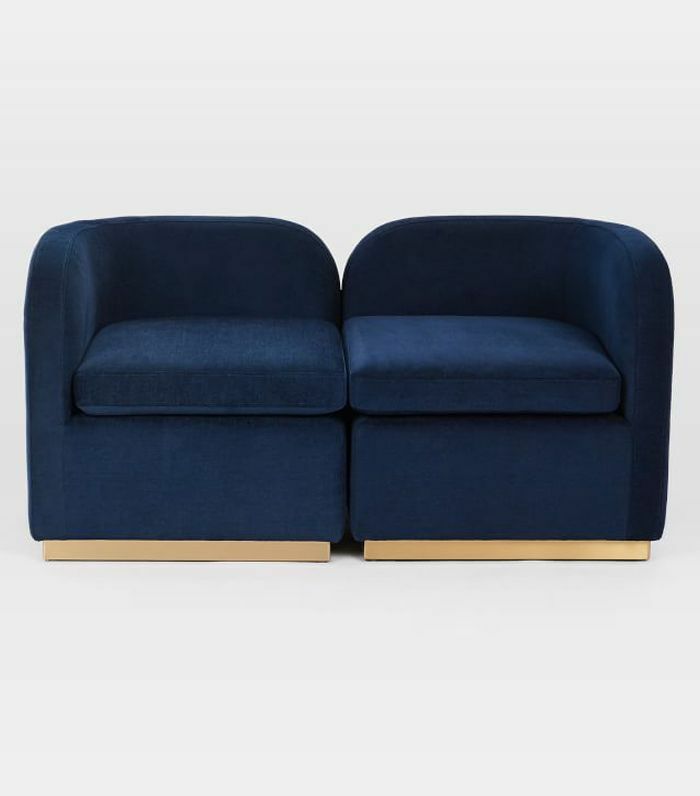 This affordable blue velvet option is ideal. For an energizing and happy atmosphere, mix prints, shades of blue and greens, and all sorts of materials, from the plush and inviting to sophisticated and modern. The traditional elements of the space keep things feeling grown-up and refined, like the original architectural fireplace and chandelier. This room feels sweet and playful, and though it's impeccably decorated for an impressive whole, it's also a comfortable space that the entire family can enjoy. 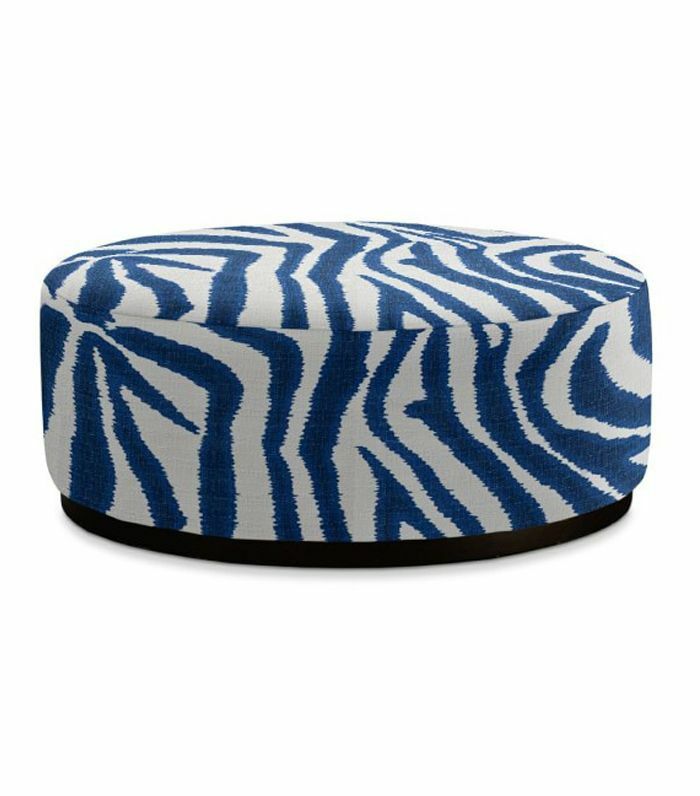 This zebra print ikat ottoman will suit a variety of spaces, but we see it thriving in a beach house. For more living room design inspiration, check out these gender-neutral approaches and then take note of these tips on how to make your space feel more formal.